Research and development activities are proposed for the benefit of sustainable pork chains based on European local pig breeds and their production systems. Workprogramme is planned to respond to consumer demands for quality and healthiness of pork products with regional identity and societal demands for environment preservation and development of local agro-economy. Description and evaluation of local pig breeds, with an emphasis on untapped ones will be performed using novel genomic tools. Performance of local pig breeds will be evaluated in contrasted agro-geo-climatic conditions and production systems (indoor, outdoor, organic). Focus will be on pig feeding and management strategies and on the use of locally available feeding resources. Intrinsic quality of traditional and new regional high quality pork products and attitudes of consumers from various market areas will be assessed; in particular the motives for the choice and willingness to pay such products. Marketing strategies will be adressed in particular short chain distribution channels. All activities will be driven from the perspective of sustainability (environmental impact, animal welfare, product quality, consumer acceptability and market potential). The activities will engage innovative approaches to answer socio-economic demands of regional pork chains involving partners from different sectors. 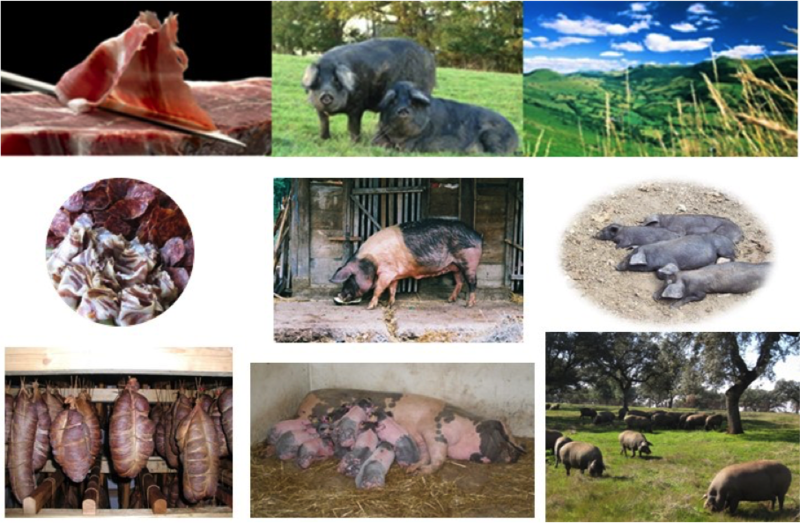 The ambition is to enhance existing and create new networks between academia and nonacademia partners, within and between regions and to tackle the value chain for regional high quality pork products, focusing on diverse and so far untapped pig breeds, their production systems and pork products. Cross-fertilising interactions between research, local agriculture, businesses and end-users will be achieved with partners from these complementary sectors in all research and development activities.